Brain Products is excited to announce a groundbreaking development soon to be released: CapTrak, a light, handheld scanner equipped with two integrated cameras and an intuitive, easy-to-use software. CapTrak innovatively employs a triangulation method which allows to detect the positions of the actiCAP active electrodes within very short time. Determining 128 electrode positions in less than 5 minutes with unequaled accuracy and reproducibility is no longer a dream – it´s CapTrak! If you take into account that every individual has a different head geometry, then it is obvious that the position of an electrode cap will vary across test subjects. Under this scenario standard models used for determining electrode positions do not necessarily provide precise and reliable data and therefore the localization of the actual electrode positions becomes very helpful. For the spatial localization of the electrodes there are already several systems available on the market. Although the great majority of these deliver reliable data, they still leave a rather unpleasant aftertaste if you come to think about time-consuming registrations of each individual electrode, high complexity in daily operation (e.g. tracking of occipital electrodes with ultrasound due to shadowing of the pointing device) and costs. That is exactly why Brain Products developed CapTrak, a tailor-made localization tool for Brain Products active electrodes. It is quick to apply, accurate, and delivers precise, reproducible results. Two cameras integrated in a handheld scanner are positioned in an angle of 75° to each other and in a distance of 195 mm (7.68 in). Once the actiCAP control box is connected to the computer, the CapTrak software application will intuitively guide you through the electrode localization process. Just load the cap montage, select the cap size along with the head geometry suitable for your test subject … and you´re all set to start scanning! 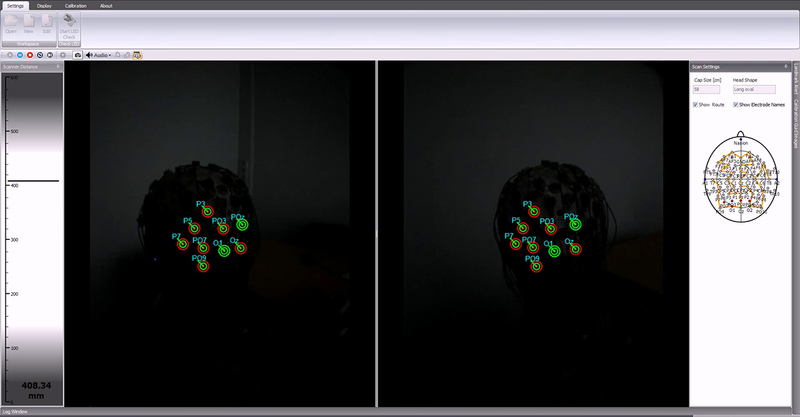 Move the hand scanner over the test subject’s head and follow the patterns of lit LED electrodes activated by the software application. The software interface provides both an acoustical and a visual feedback to alert you when the cameras are held too far from or too close to the illuminated electrodes, or in case some of the electrodes in the activated pattern are detected by only one of the two cameras. 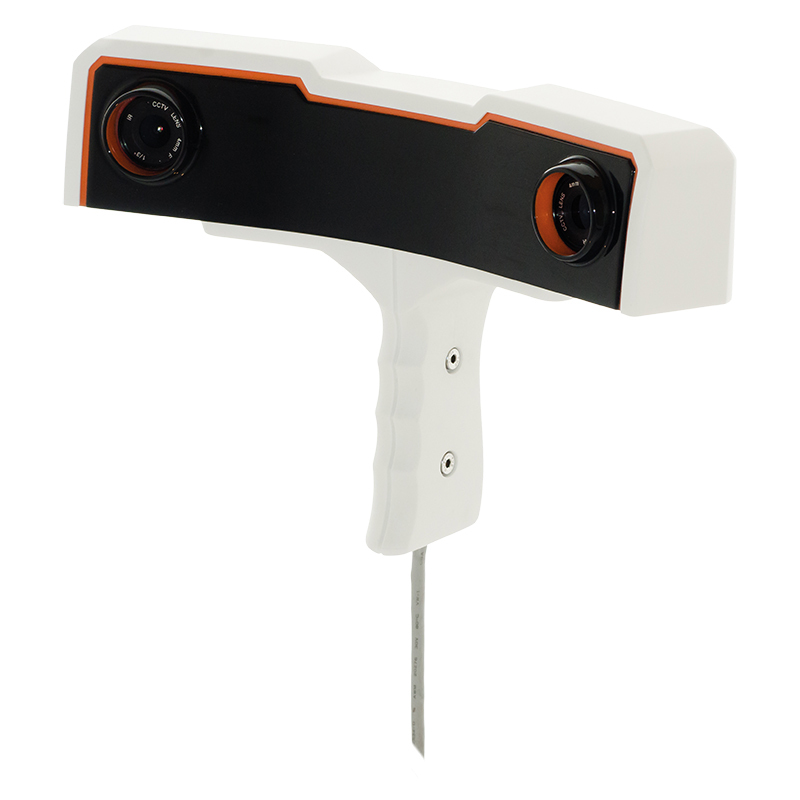 With CapTrak even untrained users can scan a 128-channel electrode cap in under 5 minutes! All tests performed by utilizing artificial three-dimensional head models with electrodes placed at known locations showed a mean error of the scanned electrode positions below 1 millimeter. As a further advantage, CapTrak allows you to compare two measurements. This feature is extremely helpful whenever you would like to check your datasets and identify possible issues with the electrode positions. Let CapTrak help you determine if the cap slipped out of place between consecutive measurements or if it has been placed incorrectly! If CapTrak detects a mismatch in the expected electrode locations (e.g. incorrect position of an electrode), the software outputs an alert. You then can decide whether to correct the cap layout or to continue with scanning. 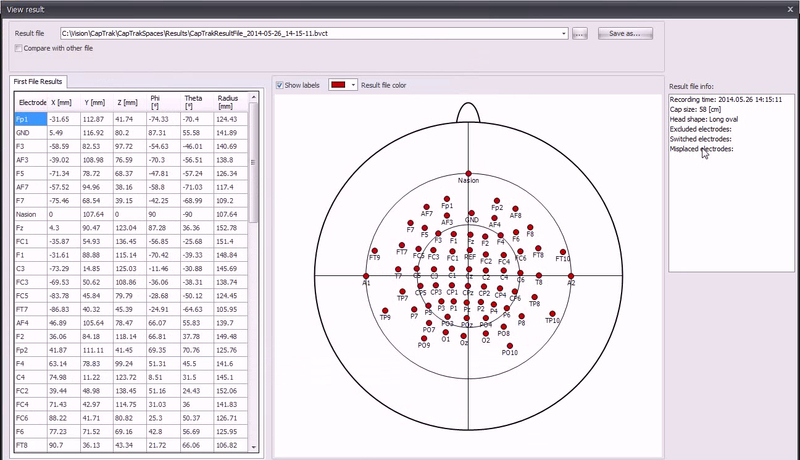 This feature will help you to easily avoid incorrect results during subsequent EEG measurements. 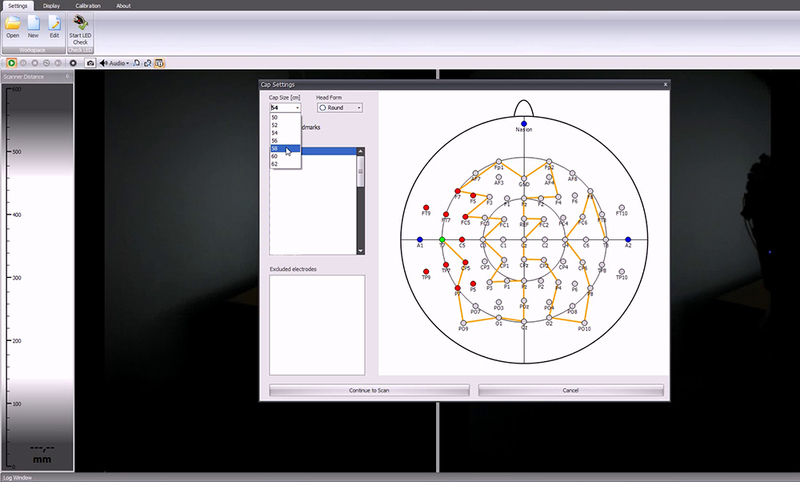 CapTrak determines the position of each electrode on the test subject’s head by triangular measurements and converts the data into three-dimensional coordinates. The result is written in a portable file format (XML) and can be further processed by BrainVision Analyzer 2 as well as other software. CapTrak is a ready-to-use system and comes with a state-of-the-art desktop computer at a retail price below 20.000 EURO2. If you would like to learn more about CapTrak, please don´t hesitate to write to sales@brainproducts.com. We will be very happy to assist you with your queries! 1 A triangular measurement is based on the images of two cameras arranged in a specific angle to each other. 2 Not including taxes and shipping costs.